Operation Specific Training is a collaboration of custom gunsmiths, competitive shooting and law enforcement specialists who have created a training environment and curriculum that is process oriented rather than goal oriented. There are a variety of firearm schools/academies available to the consumer; some focus on how to fight and how to hit your target. While both are important and valid, rarely is it clear how to get from Point A to Point B.
OpSpec’s system of instruction is unique; we emphasize the process of running the gun, much like driving a car. Operating a vehicle or gun is the synthesis of the subconscious mind and conscious mind directing the machinery where to go next. Because people learn in different ways OpSpec Training courses employ visual, logical and experiential methods in a step-by-step success-oriented approach. Operation Specific Training employs several additional instructors who are leaders in their respective military and law enforcement fields. These instructors are not listed below, as they are currently active in their respective career fields. A sheriff’s deputy since 1996 and currently assigned to a multi-jurisdictional SWAT team, Jerry is a POST-certified firearms instructor certified to teach SWAT, sniper operations, firearms and TASER at the academy level. Jerry has served as an adjunct instructor to state and federal agencies in the areas of firearms and sniper deployment and development. Jerry is a frequent contributor to such publications as Guns and Weapons for Law Enforcement, Special Weapons for Law Enforcement, and Combat Handguns. Jerry is also a frequent contributor at Modern Service Weapons online. Jerry is the President of Operation Specific Training. 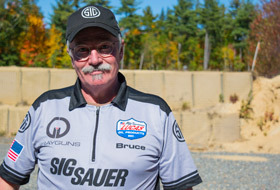 Bruce Gray offers 35 years of experience as an internationally respected pistol smith, professional shooter, writer and firearms consultant. He is currently a California POST certified rangemaster and instructor, and is commissioned as a deputy sheriff in the State of Oregon. Bruce is the author of Practical Fundamentals, which encapsulates the lessons learned during his career. A career that includes holding the highest classifications in all three action shooting disciplines, NRA Action, USPSA/IPSC and IDPA. It also includes winning a number of state, regional, national as well as international titles while driving HK, SIG Sauer, 1911 and other pistol platforms. Bruce Gray is the President of Grayguns, Inc.
Doug Flavin has worked in law enforcement in the northeast since 1992, serving in patrol and tactical operations. Between 1998 and 2017, Doug was assigned as a full time member of his department’s SWAT team. He has served as an operator and sniper instructor. In 2012, he retired after 24 years in the Army National Guard, serving as a military policeman and ending his career as the non-commissioned officer-in-charge of the state marksmanship training section. Doug retired from full time law enforcement in 2017. 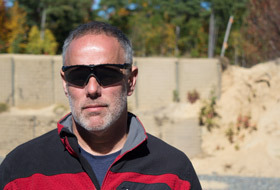 He is now focused on training as an instructor for OpSpec Training and SIG Sauer Academy in New Hampshire. 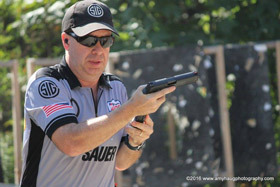 Doug started shooting at local USPSA matches in early 2015, quickly earning a B Classification running the SIG SAUER P320 in the Production division. 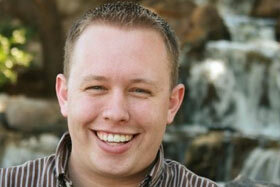 Kyle Sandlin is the Vice President of Claims for a Risk Consulting firm. 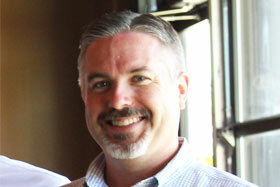 He serves as the VP of Operation and Administration for OpSpec Training. In addition, he is an adjunct instructor for Practical Fundamentals and other classes. 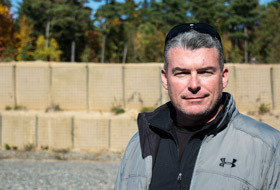 Kyle is a NRA Pistol Instructor, as well as an avid IDPA and USPSA shooter. Steve McGough is a self-employed marketing consultant who splits his time supporting a variety of small business clients. He is the training coordinator for OpSpec Training as well as an adjunct instructor teaching the Introduction to Practical Fundamentals class and assisting during Practical Fundamentals and other OpSpec programs. He is a NRA Basic Pistol Instructor, NRA Range Safety Officer and has completed the SIG Sauer Academy five day Semi-Auto Pistol Instructor course. 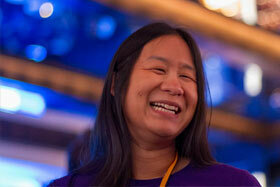 Photo courtesy Amy Haug Photography. Annette Evans is a competitive shooter, writer, and owner and training director for a facility in the Philadelphia region. In addition to being a B-class Production shooter in USPSA and past Area 8 Ladies Production Champion, she is a past East Coast Steel Challenge Ladies Centerfire Pistol Champion and holds a Light Pin from Gabe White. Annette is an NRA Basic Pistol, Personal Protection Inside the Home, and Personal Protection Outside the Home instructor, a USPSA Range Officer, an OC (pepper spray) trainer, and a perpetual student. Alan Haynie works as a Certified Procurement Transplant Coordinator (CPTC), facilitating organ donation in Arizona as well as functioning as adjunct faculty with ATSU, UofA, and Midwestern universities. He is also Training Center faculty for the American Heart Association in ACLS/PALS/BLS. Alan has been an avid shooter for most of his life and has been doing professional firearms instruction since 2006. He teaches the Introduction to Practical Fundamentals class and serves as an adjunct instructor for Practical Fundamentals and other OpSpec classes. He is a former Deputy Sheriff and is a certified NRA instructor in five disciplines as well as an NRA Range Safety Officer.